Influencer marketing makes sense... in theory. However, taking it to YOUR business and making it work for YOUR message, product, or service is a completely different story. In this post, guest author Jonathan Spektor will show you how his wife Elissa took just one of the influencer marketing strategies and applied it to her jewelry business - with LOVE. 6 years ago, my wife Elissa and I had our first daughter Lennon. Even through the terrible twos, she listened to anything we said. She was a sleeper. She did what we asked, and only wanted love and acceptance. My wife and I thought we were pros. We had this parenting thing down… We couldn’t believe how some of our friends’ kids acted in public! “Poor parenting,” we thought to ourselves. Three years later we had our second daughter Elle and everything changed. Elle does what Elle wants to do. Disciplining and yelling just doesn’t work. I remember once, at a restaurant, asking her to sit in her seat for the 6th time. Her response was… to throw spaghetti in my face. And so we realized early on that we couldn’t use scare tactics. This was a new breed of a super-child that needed a fresh approach. We had to mix it up. You learn at a young age you get more with honey than you do with vinegar. What my daughter wanted to hear was… praise. We needed to tell her how great she was for doing simple things. Once we started with this approach, we started getting the results we wanted. She was listening AND behaving. Bottom Line: You want traffic and here is how this all relates. Ana has written about using influencer marketing before. I’m excited to share my own version of her 10th way to be memorable. This is a tweak on her “Make ’em look good” approach that is working incredibly well for me. I like to call this technique the “Kiss Up”. Get More Traffic with Influencer Marketing: [thrive_2step id=’10095′]get access to a free downloadable PDF[/thrive_2step] with all real-life influencer marketing examples you can follow to grow your audience and traffic.  Like my parenting, I realized I needed a new approach to driving traffic to my blogs. I needed to attract people with kindness and praise. And that’s exactly what this technique does. Link roundups (listicles) have been around for a while. They resonate well with readers who have a short attention span. Henneke Duistermaat wrote a great post about why they are effective and people love them. For this influencer marketing technique, we are going to create a “Kiss-Up Listicle” that makes sharing irresistible. I’m going to share a case study of what I did for my wife Elissa’s site, Love & Pieces, so you can follow along. My wife started an online store last year to sell fashion jewelry online. Apart from being an incredible wife and mother, she has a fashion apparel and buying background. She wanted to return to work now that our kids were old enough, but she also wanted the flexibility to still raise our children. Her business has really grown in the first year. It’s taking more and more time, but she loves it. She has a blog on her site that she uses to engage readers and drive traffic. For this example, we are going to look at a specific post she published – 12 Jewelry Bloggers You Want to Follow. While her site is jewelry-related, this influencer marketing technique works in almost any industry. There are influencers in all spaces. The first step is finding your influencers. What we are looking for are people who have authority. We are talking about people that have influence with your potential audience. You want active, engaged people in your space. In my wife’s case, the potential influencer marketing pool is surprisingly small. Even though jewelry is an extremely competitive space, there are only 10 or so legitimate jewelry bloggers. There are millions of less popular blogs, but we are looking for those with larger audiences. If your industry is more competitive, you are going to want to be laser-focused. Focus on a niche within the industry. A quick Google search will show you who the more well-known bloggers are, if you don’t already know them. In my wife’s case she was able to find a couple of lists of influential people in the field that people had already created. These lists coupled with her expertise, resulted in a list of 20 or so Influencers. Your next step is to make sure that everyone on your list is active on their blog. Not just on social media, but on their actual website. You are going to want backlinks if you can get them. You can determine this with a quick visit to their site. Once there, you will want to see when their last post was published. The next thing you want to do is to get rid of sites that have a low domain authority. Neil Patel does a great job of explaining this, if you are not familiar with Domain Authority. Your approach here is to get noticed by people that have a larger sphere of influence. I like to have a mix of different levels of Domain Authority in my list. A good rule of thumb is 33% in each of the following buckets. NOTE: It’s important to have a range of authority on your list. You want some rock stars but don’t overshoot here. What I mean is these people have to be attainable. It’s like applying to colleges. You want reach, match, and safety schools. We are looking to get noticed, but we need the people to be attainable. When you are done, you should have somewhere around 10 people. In my wife’s case she had 12 Jewelry Bloggers. You want to keep it somewhere around this number so that you don’t dilute your list value. Now that you have your list, you want to gather contact information. Using a simple spreadsheet, collect everything to keep it organized. You want to gather email addresses, contact form pages, and all their social media accounts. Most sites have them all nicely organized for you in their header or footer. The goal here is to be prepared ahead of time. You want to be able to reach out to these influencers once you actually publish your post. Ana suggests using ContentMarketer.io to speed up finding and contacting influencers via email and Twitter. Once you have finalized your list, it’s time to get personal. You’ll need to spend some time on each site getting to know about the blogger and their style. Find what you like about them and what sets them apart from the group. Each person has their own angle and you want to share this. There is always something great you can point out about them. What do they do that the others don’t? Your goal here is to write two to three sentences about each influencer. Show your love here. This is where you get your brownie points and it’s where you can really relate with the influencer. Read their “About” page and see how they speak about themselves. What are they proud of that resonates with you. Once you have your people and their summaries, you want to make a beautiful blog post. Looking professional and credible is crucial to your post success. Face it: you can’t throw together the list and expect it to be shared. Spend time finding attractive free images or use a service like Canva or PicMonkey to create great blog post images yourself. I recommend, at the very least, you have a picture of each person you feature. People love to see themselves on other sites. A nice picture, their name, and a few nice comments go a long way. Your last step is to publish your post and get the word out. To effectively do this, you need a strategy. In Step 3 you collected your influencers’ contact information. I find that an email is the most personal and effective way of reaching out. If they don’t have their email on their site, use their contact form. Below is an example of what my wife sent once her post was published. After your email, you want to head over to social networks. You want to share your post and tag as many of the influencers in each of the channels that you can. Make sure not to miss the influencers’ network of choice! If they are Twitter users, make sure you are mentioning them in tweets. If they are big on Instagram, post the title picture and tag them on it. Reach them where they have influence. This is where they are most likely to share it. The last step is to wait. If you have followed all the previous steps, you should peek some interest from the influencers you are targeting. When they mention you or thank you, praise them for their work. You know how hard it is to become an influencer. Respect what they have done honestly. Make sure you engage wherever they reach out to you. If they message you on Google+, reply there. If they tweet, thank them on Twitter. In my wife’s case almost all the influencers were appreciative. They ended up sharing and back-linking to the post from their websites. Many responded to the emails with a personal thank you. Sharing kind comments and praising peoples’ work is extremely effective. My wife Elissa received a ton of traffic over that week and new followers in each of her social networks. And check it out: after the initial dust settled, it got even better. My wife currently ranks number 1 for a couple of highly competitive search terms on Google! She is outranking sites with far more domain authority and age. The ‘Kiss Up’ influencer marketing strategy increased traffic to her site by 23% over the month and made 12 Influencers really happy. Jonathan helps beginners start their online stores and build them one step at a time. He owns half a dozen online businesses, is a two-time bestselling author, and offers a FREE 5-step crash course to starting an online store. “KISS UP” like Kiss it simple stupid? I like that! As always, great content on your website Ana. While I don’t have time to read it all, I do enjoy what I can read. Don’t ever stop publishing this great stuff! Much appreciated, Derek; thanks for coming by. I would definitely try to follow this strategy so that I can also improve traffic on my website. Thanks for sharing this informative article with us. Looking forward to learn more from you. Pleasure, Lisa; thanks for coming by. Jonathan’s story itself made me intrigued and I end reading the entire post and this startegy is something not many can use, but those who use will definitely get what they want. I will keep it in my to do list and will surely try it. Happy 2016 to you as well, Rahul! Happy New Year, Ana and Jonathan! This is a great resource! The concept of influencer marketing, done right, is golden. Thank you for sharing your wife’s success story, Jonathan, and for the inspiration for doing this right. And a Happy 2016 to you as well, Robin; thanks for coming by and all the shares across multiple social media networks! Awesome stuff, Jonathan and Ana. I did something similar to the “12 Jewelry Bloggers…” at AffiliMarketer. Only I mentioned 24 affiliates. I didn’t know much about influencer marketing at the time. And I got the idea while I was reading Ana’s “Get Traffic With Link Roundups” post. Yeah, that post got AffiliMarketer’s first 2K/month visitors and nearly 200 shares. Not bad, eh. Happy New Year, Ana and Jonathan! Such a great resource! Step 4 is SO important and I think that’s the step many people overlook when putting together their list. I also like to connect with the influencers a bit. No better way to get to know their style 🙂 What you say about including not only major influencers, but also attainable ones is so true. I agree, Camilla – I’ve seen one too many posts where people simply pull my bio from TGC, shows lack of thought and laziness. Thanks so much for coming by and a Happy 2016 to you as well!